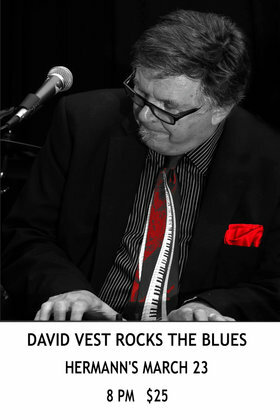 Having recently won his 5th Maple Blues Award for Piano Player of the Year, David is ready to get back to basics and play the good rockin’ music that made him a blues legend. It’s a sound, a groove and a feeling that’s hard to find these days, timeless but by no means dated. As Chuck Berry said, “it’s got a backbeat, you can’t lose it, any old time you use it.” David’s band includes Tom Bowler (guitar), Ryan Tandy (bass), and Damian Graham (drums), and they are equal to the task of following David wherever the spirit leads him.